The Town of Islip owns and operates Long Island MacArthur Airport, located in Ronkonkoma, 50 miles outside New York City. More than 5,000 people fly MacArthur Airport each day, making it one of the top 110 airports in the United States. Long Island MacArthur Airport is a public airport located on Long Island, in Ronkonkoma, Town of Islip, Suffolk County, New York, United States. It is approximately one mile south of the Ronkonkoma Branch of the Long Island Railroad and has a dedicated shuttle to connect the airport to the rail line. Long Island MacArthur Airport covers an area of 1,311 acres containing four runways and two helipads. 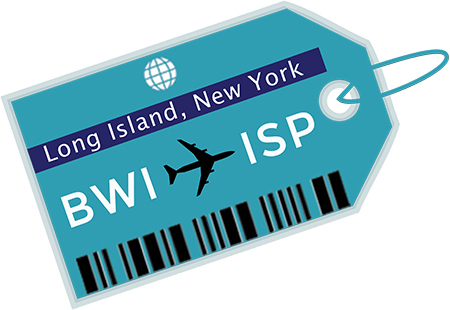 The Town of Islip owns and operates the airport, which serves approximately two million commercial passengers a year, as well as a thriving general aviation sector. MacArthur Airport has an economic impact of $600 million annually, and employs 6,000. For additional information on the airport, please visit macarthurairport.com.